HTC’s future is not looking very good right now, since they can’t only rely on the HTC One for sales and maybe its successor. They need to get into the tablet game, like LG did with the great LG G Pad 8.3. 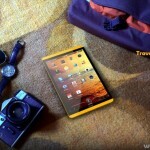 One such device to push them into the future is the HTC Dream, a concept tablet created by Giorgi Tedoradze. 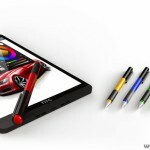 This is a simple, elegant, compact and ergonomic HTC tablet, made of aluminum and measuring 8 mm in thickness. It integrates an 8 inch IPS screen with Full HD resolution and inside it has a dual core 1.6 GHz processor, 2 GB of RAM and 16/32/64/128 GB of storage, as well as microSD. 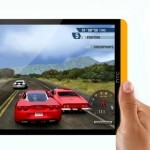 The battery of the HTC 8 inch tablet is a Li-Ion 6500 mAh power source. There’s a 6 megapixel UltraPixel camera at the back, with optical image stabilization, 1080p video recording and a front camera with a 2.1 MP resolution. 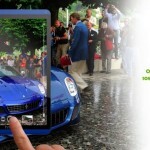 On the OS side of things, there’s a special blend of Android and HTC Sense, specifically created for this tablet. We also get accessories rendered, like a special stylus or case for the device, plus something that looks like a new drawing and sketching software. 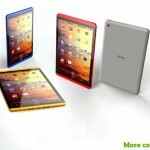 Will this HTC tablet make it big in 2014?